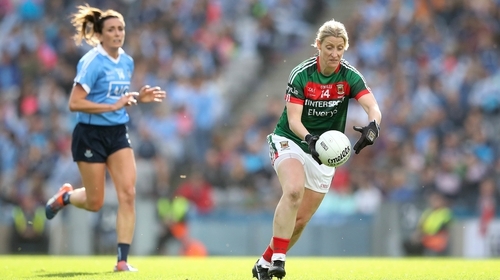 Mayo's women's footballers have been rocked by the news that a number of senior players have walked off the panel just days before their All-Ireland championship opener. Last year's defeated All-Ireland finalists, they lost the decider to Dublin, are due to take on Cavan on their first group game on Saturday. But they may have to do so without many of their top players, including Sarah Tierney, Fiona McHale and Cora Staunton. In all, ten players have walked away, mostly from the Carnacon club. The players in question released a statement via the Women's Gaelic Players' Association (WGPA) citing player welfare issues as their reason for quitting mid-season. The short statement read: "We have stepped away from the Mayo panel for player welfare issues that are personal and sensitive to the players involved. Out of respect to the girls playing at the weekend and ourselves, we will not be commenting further. We wish the Mayo team well with their game on Saturday." None of the players wished to make a comment on the issue, but they confirmed that they will not be playing in Saturday's game against Cavan. The WGPA also issued a short statement, saying that they are supporting the players and calling for an end to speculation surrounding the story. "The WGPA wishes to acknowledge the situation in Mayo Ladies Football at present," they said. "We are aware of the issues at hand and are supporting all of the players. We recognise the physical and emotional commitment required to operate at the top level of our games and respect the decision of all individual players regarding their own personal playing experience. Mayo lost to Galway in the Connacht final in June, but remain in the race for the All-Ireland and they are in Championship Group 4 alongside Cavan and defending champions Dublin.